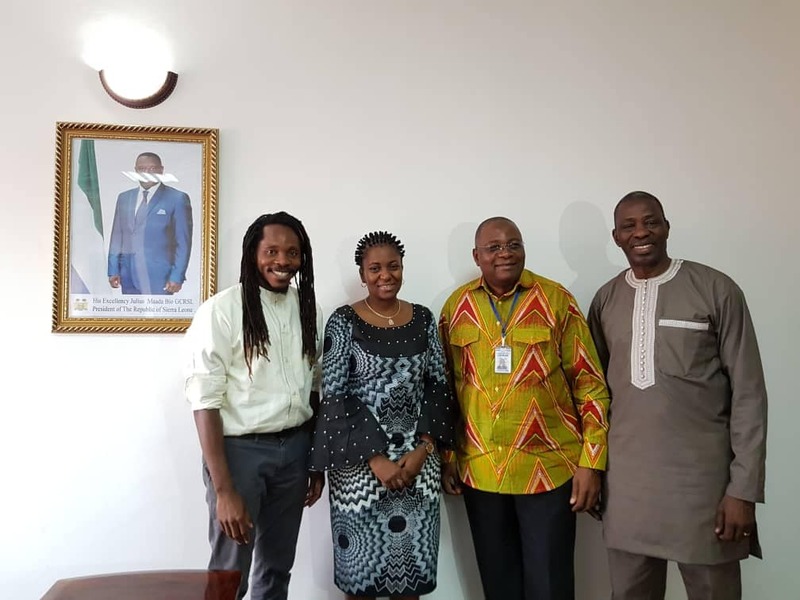 The Directorate Of Science, Technology, & Innovation (DSTI) has signed a MoU with Statistics Sierra Leone (Stats-SL) to formalize ongoing collaborations on projects of national significance. The two agencies were lauded by the Minister of Planning, and Economic Development (MOPED), Mrs. Nabeela Tunis for combining their expertise for the advancement of the State. “DSTI and Stats-SL are already implementing terms within the MoU showing their commitment to providing the Ministry of Planning with necessary data to make policies that will have a measurable impact on the lives of Sierra Leonean citizens,” said Mrs. Tunis. The MoU is a commitment by both agencies to share information, and knowledge that will strengthen the problem-solving capacity of statisticians and data scientists at both organizations. “I already know this is a true partnership because even before DSTI showed any results using data we shared, they came to us to present the information. We jointly asked research questions and provided input into the analyses, ” said Prof. Osman Sankoh, Sierra Leone’s Statistician General. The two agencies have made inroads on projects ranging from an integrated national GIS solution to map government services and an interactive education dashboard that will allow policymakers to see how different indicators and facilities affect learning outcomes across the country. Mr. Robert Chakanda, Deputy Minister, MOPED, provided guidance and leadership to DSTI, and Stats-SL to ensure that projects are in line with the national agenda. By sharing data, Stats-SL enables the Data for Decision Making pillar of DSTI Sierra Leone. This partnership also further strengthens the innovation ecosystem across government and international development partners. “This is essentially a Memorandum of Action because DSTI and Stats-SL have already been working together on several projects and developed prototypes together,” said Dr. David Sengeh, Chief Innovation Officer, DSTI. President Julius Maada Bio commissioned the Directorate of Science, Technology, and Innovation in October this year. One mandate of DSTI is to transform Sierra Leone into an innovation nation.